Each and every day, light has the power to enrich many aspects of our lives. That’s why we’ve invested a lot of time and effort, and heart and soul into the development of some exciting new lighting products. 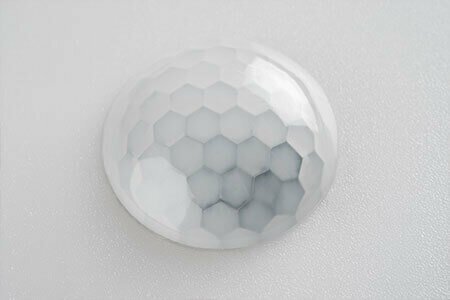 They combine timeless design, limitless know-how and state-of-the-art technology. 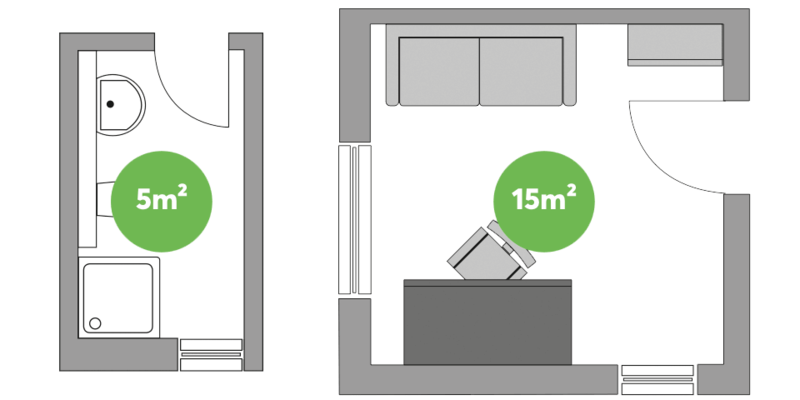 The result is four fantastic new lighting products of the highest quality – developed by Loxone. 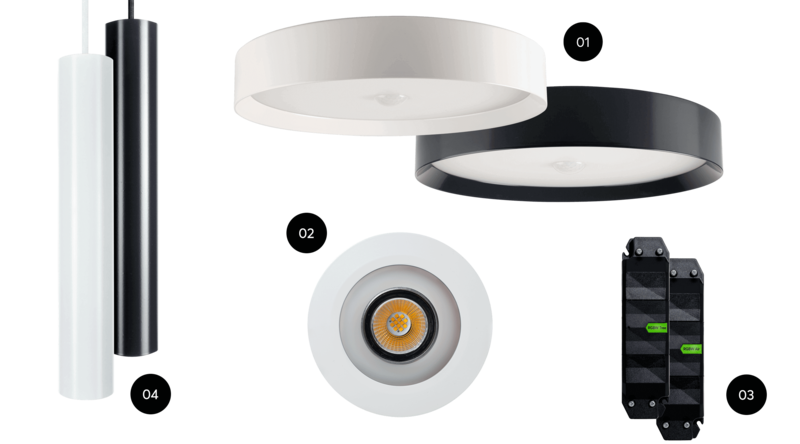 The result is four fantastic new lighting products – designed and developed by Loxone. The new Loxone Ceiling LIght presents a simple yet effective solution for beautiful, full-colour lighting in many rooms of a Real Smart Home. An integrated motion sensor and brightness sensor makes the Ceiling Light a feature-rich, yet unobtrusive luminaire. Whether you want warm white light or atmospheric colour lighting. Whether you need a room to be brightly lit or you’re just after subtle mood lighting… The ceiling light is exceptionally versatile making it a fantastic addition as part of a lighting design. 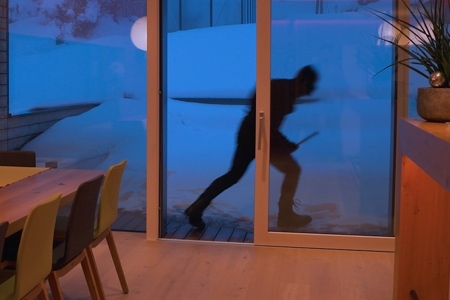 The integrated motion sensor not only complements the automatic lighting but it also lends itself to enabling other smart home functions, such as the burglar alarm. The light itself does more than just provide light… It can incorporate the smart alarm clock or act as a silent doorbell as part of your Loxone Smart Home. Whether you want warm white light or atmospheric colour lighting. Whether you need a room to be brightly lit or you’re just after subtle mood lighting… The ceiling lights is exceptionally versatile making it a fantastic addition as part of a lighting design. The integrated motion sensor not only complements the automatic lighting but it also lends itself to enabling other smart home functions, such as the burglar alarm. The light itself does more than just provide light… It can incorporate the smart alarm clock or act as a silent doorbell as part of your Loxone Smart Home. A motion sensor is integral for Real Smart Home features to truly benefit the occupants. With the use of the Loxone Ceiling Light, there is no need for a separate motion sensor as it is already integrated into the luminaire…enabling many more smart home features with it. No more fumbling around in the dark. In the Real Smart Home, the motion sensors play an important part in automating the lighting. 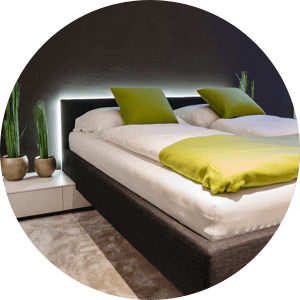 As soon as you enter a room it measures the light levels, and if necessary the appropriate lighting mood for that time of day or night will turn on. 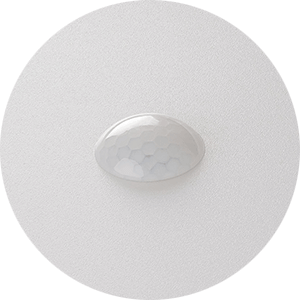 The integrated motion sensor offers this intelligent control for every other Loxone lighting element in the room. With the all-new LED Spot RGBW Tree, you can expect the ideal lighting output for any room in a Real Smart Home. 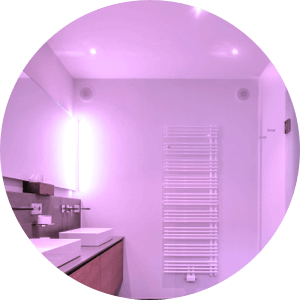 With exceptional natural colour rendering and full, smooth dimming, the lights can adapt to suit any occasion. 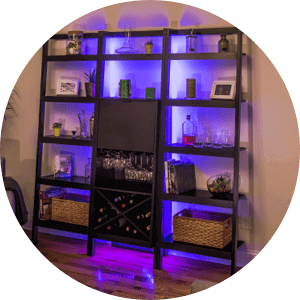 The LED Spot RGBW Tree not only impresses with a sleek, timeless design – but it also boasts RGB and White LEDs. Whether you’re looking for ambient, task or accent lighting; the LED Spot RGBW Tree is a fantastic option. The diffused colour output of the spot can provide a comfortable, soft light that is impactful enough to set the scene without being overwhelming. Choose from millions of different colours to suit the occasion. The separate warm white LED output of the LED Spot RGBW Tree means it can also deliver a more focused, brighter, clearer light. Plus, as it is fully dimmable, it is ideally suited to meet the demands of ambient, task and accent lighting. 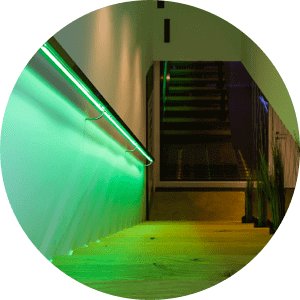 With the full, smooth dimming range and choice of millions of colours, the LED Spot RGBW Tree is suitable for any room in your Real Smart Home. 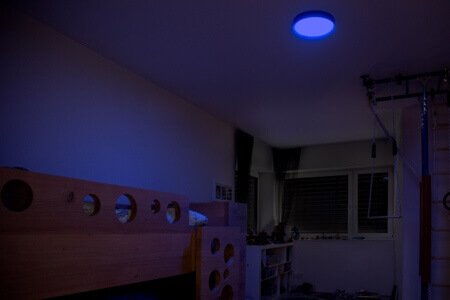 With millions of colour combinations, the LED Spot can create effective lighting moods. 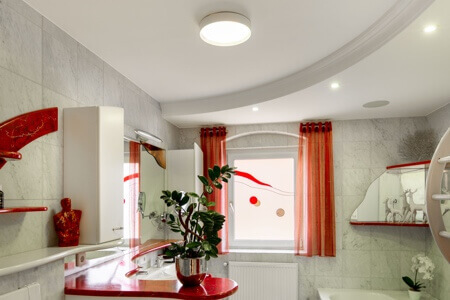 Research suggests that in the bathroom we should go for a hint of blue in the mornings and a warm red in the evenings. 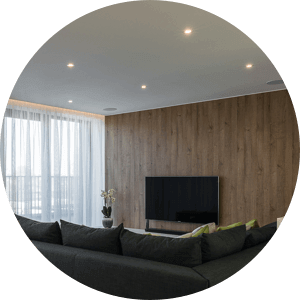 With the RGBW 24V Compact Dimmer, you now have more choice when it comes to potential installation places of LED strip, for example. 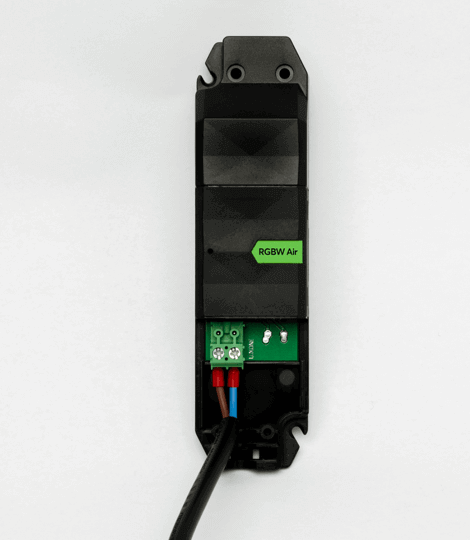 As this dimmer is specifically designed for decentralised use, it could easily be installed at the location of the LED strip recessed into furniture or cabinetry, under the bed, or directly in a dropped or coffered ceiling. 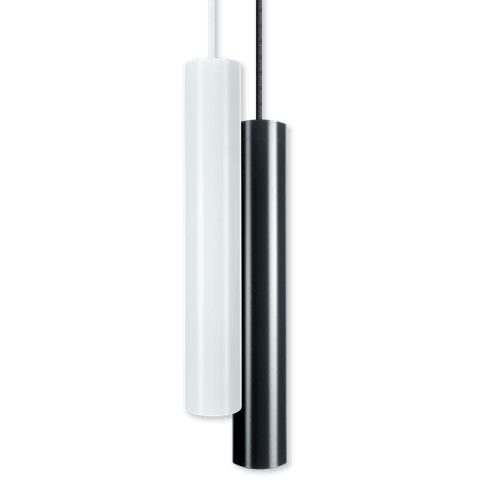 Now available – the popular Pendulum Slim luminaire coupled with our award-winning Tree technology. Elegant design meets feature-rich lighting that can be adjusted to suit the demands of the task, ambient and accent lighting in your lighting design. Thanks to it’s stylish and unique characteristics, we’ve been able to combine diffused and directional light into one versatile fitting. 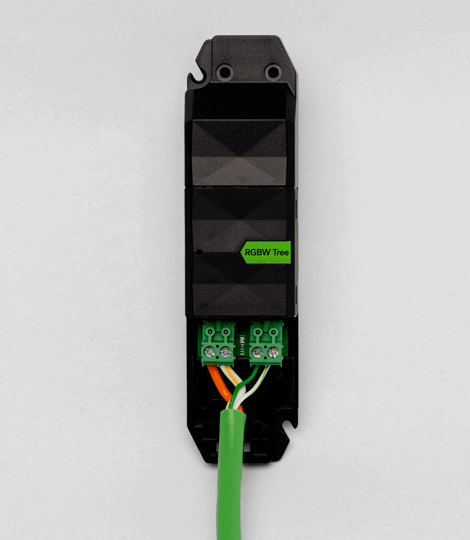 There is no need for any additional dimmer because the LED Pendulum Slim Tree has a built-in driver, and it can be wired back to the Tree extension along with other peripheral Tree devices. Elegant design meets feature-rich lighting that can be adjusted to suit the demands of the task, ambient and accent lighting in your lighting design. Thanks to it’s stylish and unique characteristics, we’ve been able to combine diffused and directional light into one versatile fitting. 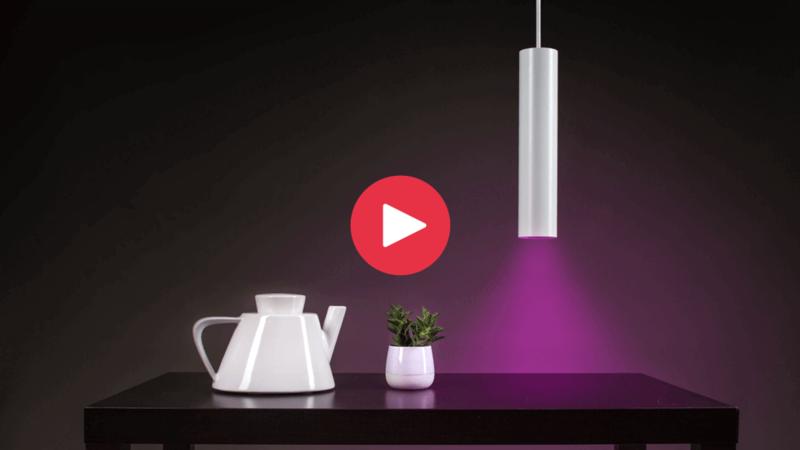 There is no need for any additional dimmer because the LED Pendulum Slim Tree has a built-in driver, and it can be wired back to Tree extension along with other peripheral Tree devices. What is life like in a Real Smart Home? 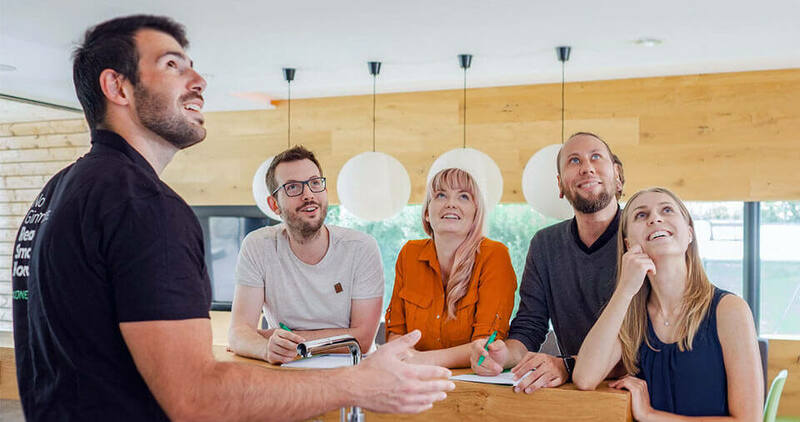 Are you ready to discuss how you can turn your existing home into a smart home? 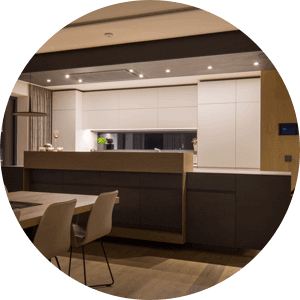 Perhaps you’re about to embark on a new build and want to include home automation… Book a one-to-one consultation with a member of the team to discuss your ideas and go over any questions you may have. Alternatively, come and see us! Book a place on one of our Smart Home Info Sessions.